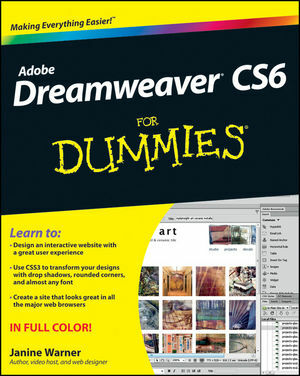 Janine Warner has written more than a dozen books, including iPhone & iPad Web Design For Dummies. A popular speaker, she's known as a "techy translator" who can make even the most complex concepts accessible. She's also the host of several training videos on web design, Dreamweaver, and CSS. Learn more about her books, videos, and free tutorials at DigitalFamily.com.